SCADA is exactly in accordance with your wishes. It is combination of Java programming and online visual editor, we can meet all your requirements. 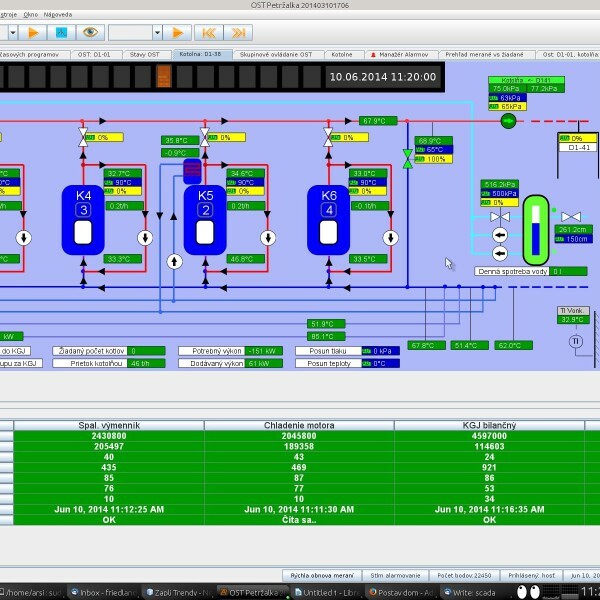 SCADA is designed primarily for use with recurring technological units (e.g. boiler-room, heat transfer station). 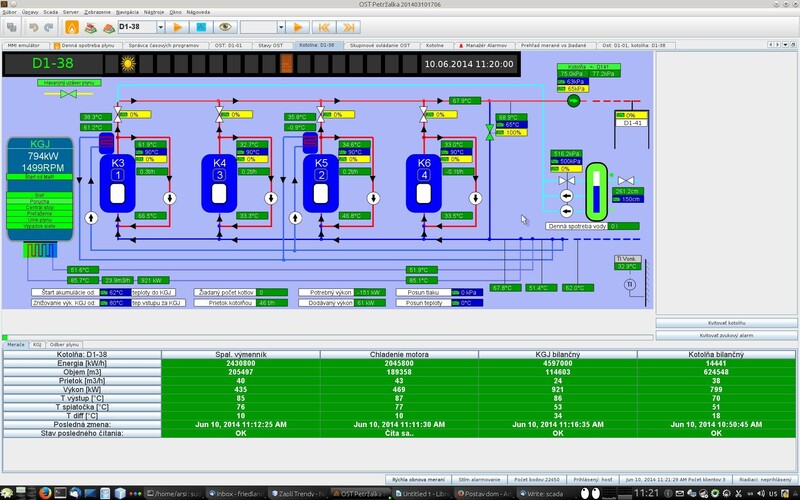 Unlike other conventional SCADA systems, Zapli SCADA doesn’t statically define point names in graphical section, but it uses system of dynamic filters. By keeping nomenclature it is possible to use same graphical technology for multiple technological units. This saves your time and money. Built-in graphical editor allows you to edit graphical technology and its distribution ti all online clients without installing or restarting application. SCADA system can be extended with web server for generation and presentation of statistical data. Automatic archiving of measurements to any SQL database. Data distribution to unlimited number of clients. Unlimited number of measurement points. Data representation in graphical or table form. Manage, view and report alarms. Display data from the archive directly in image technology.